Here at BBQ Concepts, we understand the importance of planning, designing, and using superior construction materials in our prefabricated outdoor kitchens and fire features. We frame our premium outdoor kitchen products using 1” x 1 ½” 14 Gauge Galvanized 120 Steel Tubing. The Galvanized 120 Steel offers the strength and durability needed for the construction of our marvelous outdoor living components. Steel is quickly becoming the favored choice in residential outdoor kitchen construction & manufacturing. Its lightweight and continues to be one of the strongest, most durable and used building materials on the market today. 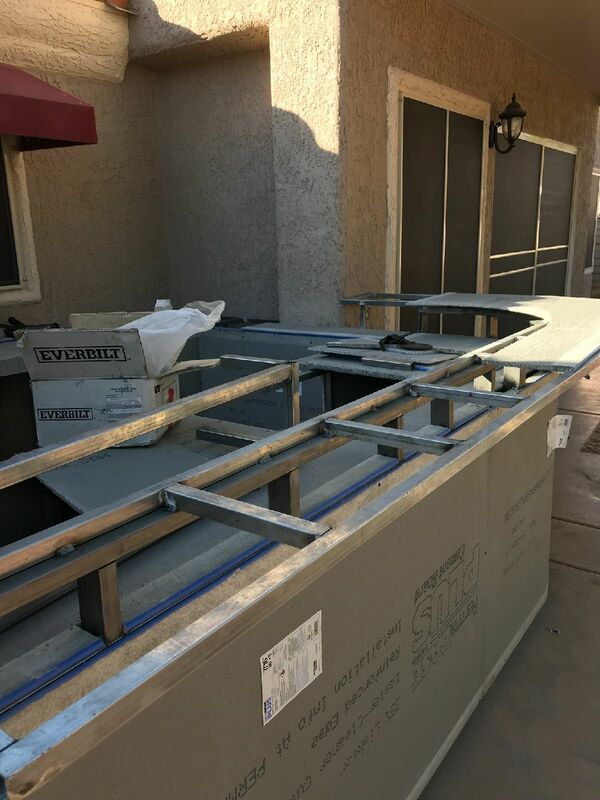 The lightweight steel framing allows us to prefabricate your custom outdoor kitchen product in our warehouse, then deliver the finished product to your residential home. We offer convenience to the modern day homeowner, drastically reducing the amount of on-site construction that occurs at your residence. Our outdoor living products are lightweight, allowing you to quickly transport your product to a new location if you ever choose to move into a new home. We offer outdoor kitchen relocation services as well. Just another one of the many conveniences you will benefit from when you choose BBQ Concepts of Las Vegas, Nevada. We never use cinder block or lumber materials in the fabrication of our custom outdoor components and fire features. Occasionally, we are called out to remodel or repurpose an existing cinder block structure. We do not recommend using cinder block for the structural foundation of your barbecue island. Using cinder block is an outdated method that has many drawbacks. Traditional masonry will limit your aesthetic design options and will render the outdoor kitchen immovable. Also, demolition of the structure is very difficult compared to any other process. Permits and inspections are required when using cinder block as your structural building material. 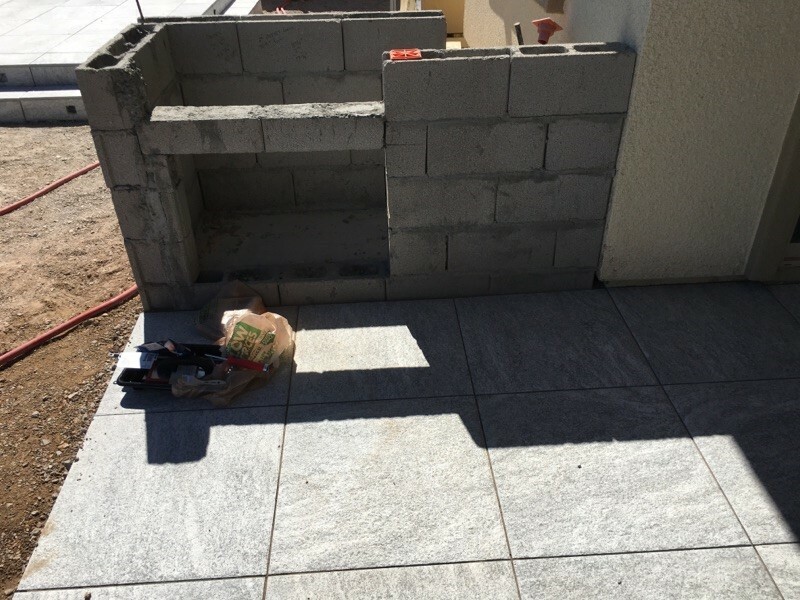 We recommend that you speak with one of our outdoor living specialists before you commit to using cinder block for your outdoor living structure. Our prefabricated outdoor kitchens & fire features are lighter, stronger, and far more convenient when compared to the old-school construction of the past. We invite you to fill out the form below to schedule an on-site design consultation with the pros here at BBQ Concepts. Our goal is to make sure you fully understand your options and what’s available to you.